Are you prepared for your 15 minutes of fame? Or more precisely, your nonprofit organization’s 15 minutes of fame? What if you were the Public Broadcasting System, home to Big Bird of Sesame Street fame, and a presidential candidate put you on the chopping block in front of 70 million television viewers? It went viral from there with tweets, videos and blog postings lighting up the internet. Here’s the question – what if your organization was suddenly thrust into the local or national limelight? Would you be in a position to capitalize on the publicity? What if people – hundreds or hundreds of thousands – suddenly started visiting your website? Or better yet, making $10 gifts by text or your website’s “donate now” button? How does your website look? Does it tell your story? Is it integrated with your donor management software so you can track and respond to people who give electronically? Do you have easy-to-use talking points your leadership can use to get your story out? Would you be in a position to craft a quick and witty response that could be tweeted to your followers? What about creating a quick video? Could you drive people to your website, launch a give-by-text campaign? Thank everyone? It would be great if all opportunities were planned; that we knew in advance when opportunity would knock and could be dressed for the occasion. But that’s not always the case. So here’s our take-away regarding the Big Bird dust-up – be prepared. Invest in your fundraising, your messaging, and technology. Think about how you could respond if your organization received unanticipated positive attention. How would you take advantage of it? Who could you call on to help you? Conversely, what if your organization were drawn into the public eye in a negative way. Think Pennsylvania State University and Coach Jerry Sandusky? Do you have a crisis management plan that can help guide you through the challenging times? Again, are there people you can call on to help you? 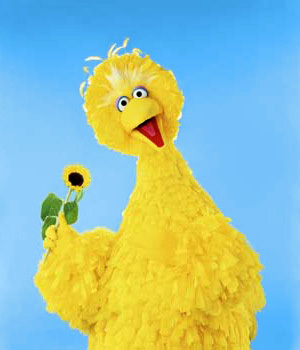 Governor Romney’s comments created an unanticipated whirlwind complete with a guest appearance by Big Bird on Saturday Night Live. Sometimes the things we say have an effect that is different from our intentions. It’s part of life – the part where we learn to laugh at ourselves and accept our imperfections. But, if your nonprofit can capitalize on an unanticipated moment in the spotlight, do so.